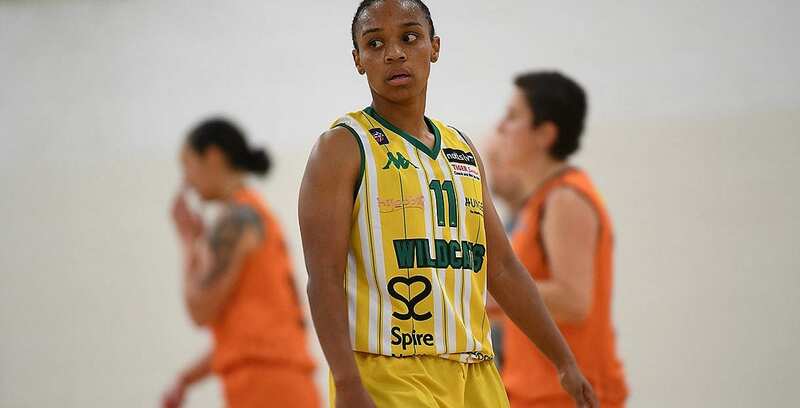 Nottingham Wildcats move back up to fifth and end the benecos WBBL Play-offs hoped of BA London Lions. Nottingham Wildcats are back up to fifth place in the WBBL Championship after ending the benecos WBBL Play-off hopes of BA London Lions, beating them 79-58 at Wildcats Arena. Wildcats move to an 11-10 record after a second defeat of Lions this season, with this being their first win in three games and only their second in the last eight. Turning point – After the first quarter was tied, Wildcats opened the second stanza with 12 straight points as Shumpert scored six of her 14 early points to help the score to 29-17, with the visitors scoreless for four minutes. The game was settled when, similarly, the hosts scored the only four points in the opening five minutes of the third period in what was a strong defensive display. Key stat – Wildcats shot the ball well, including 54% on the inside and a perfect 11-11 at the free-throw line, with all of those being made by Shumpert and Jasmine Joyner. Game hero(es) – Shumpert scored a massive 33 points to lead the victors, with seven rebounds, three assists and three steals. Joyner had a big double-double of 12 points and 17 rebounds.